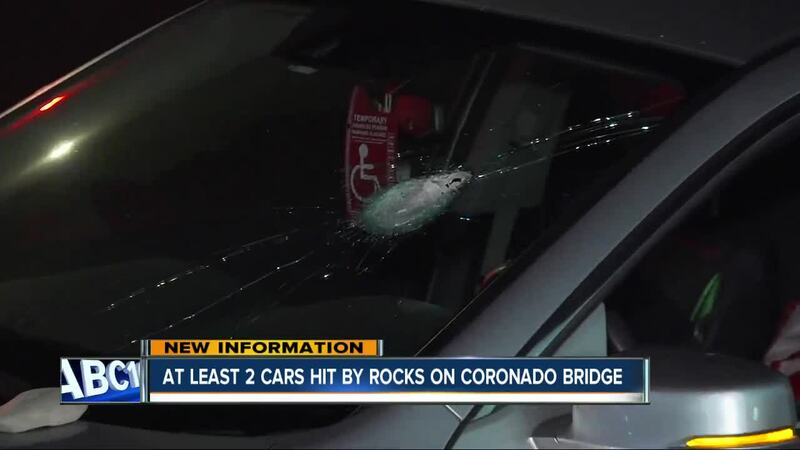 A barrage of rocks came down on as many as seven cars on the Coronado Bridge since Friday, damaging the vehicles and sending one driver to the hospital with minor injuries. 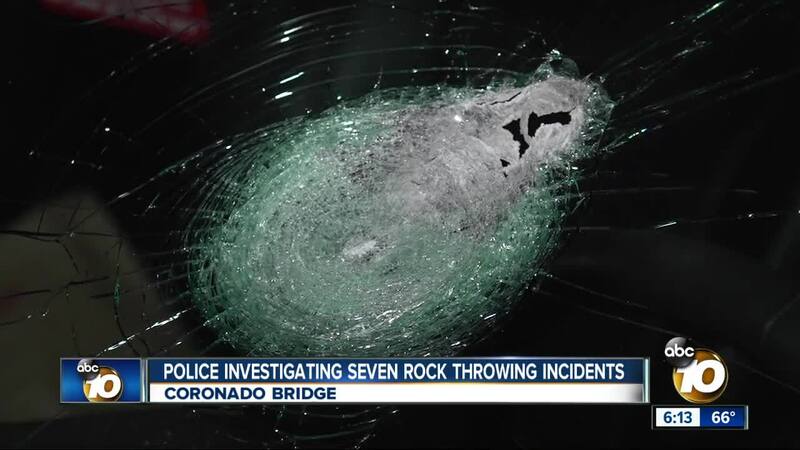 A car was traveling westbound on the bridge Tuesday night when a large rock landed on his front windshield and struck the driver. The driver was transported to the hospital via ambulance after being hit in the chest, the California Highway Patrol said.